We bring people together like sand and surf. Virginia Beach is a meeting locale that rivals any on the East Coast. With more hotels, entertainment, shopping and dining options than ever, it’s the ideal place to bring people together year-round. You’ll find the perfect balance of coastal charm and big-city amenities. 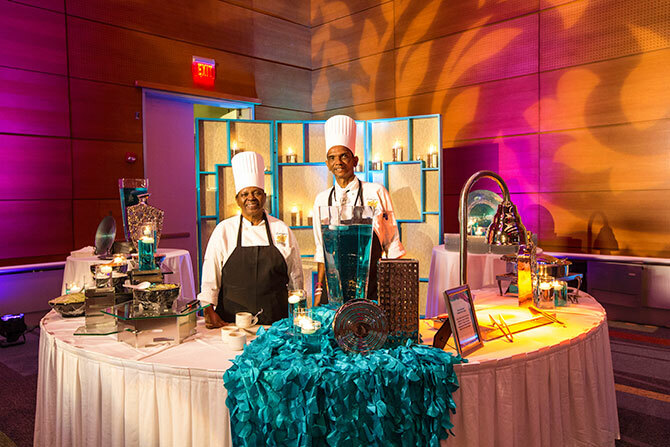 There’s a Virginia Beach vibe that’s right for your event. 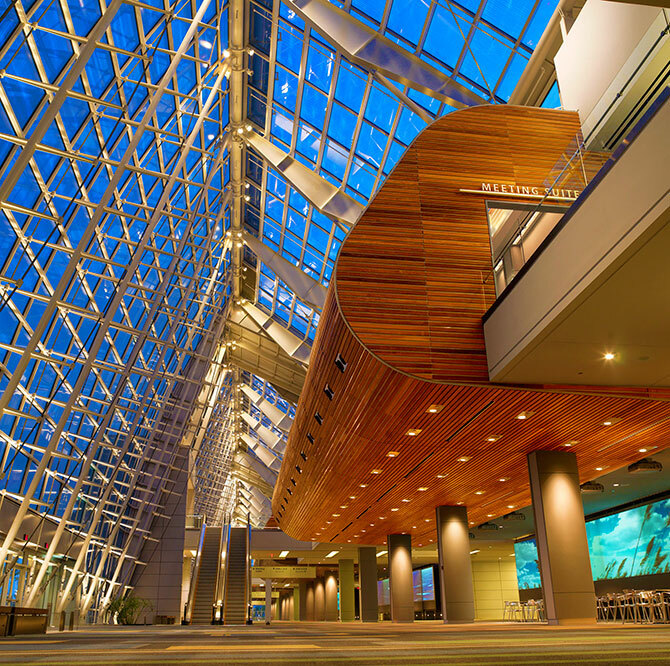 At the center of it all is the Virginia Beach Convention Center, the Nation's first convention center to earn LEED® Gold certification1 from the U.S. Green Building Council. It can hold any size meeting imaginable, with over 516,000 gross sq. ft., over 150,000 sq. ft. of column-free exhibit space, nearly 29,000 sq. ft. of meeting space, over 31,000 sq. ft. ballroom (one of the largest on the east coast), and 2,209 free parking spaces. Deciding where to raise your glass just became crystal clear. 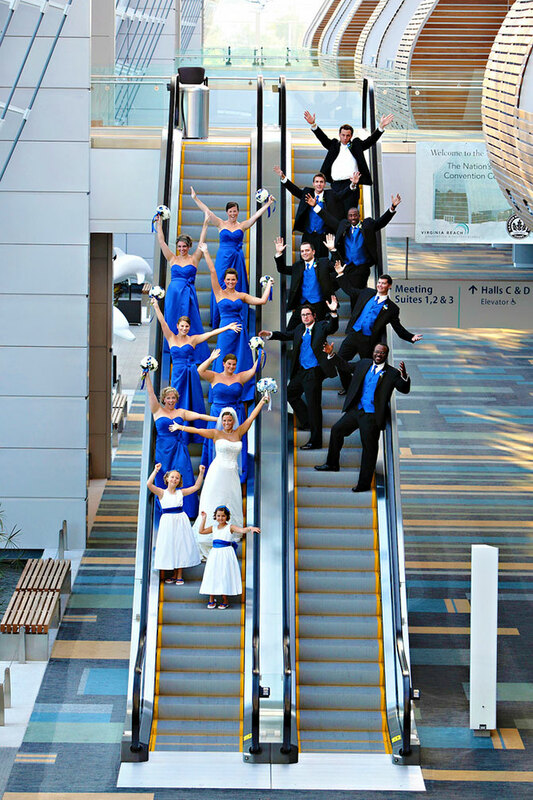 Your wedding is an extraordinary occasion to be cherished forever. 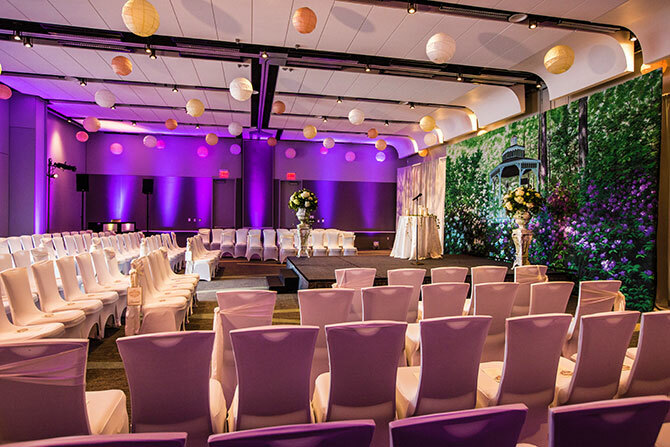 Our romantic ballroom and meeting rooms have the flexibility to meet your every need, from the floor where you will first dance as a married couple to the first-class dining where guests will toast to your lifelong commitment. 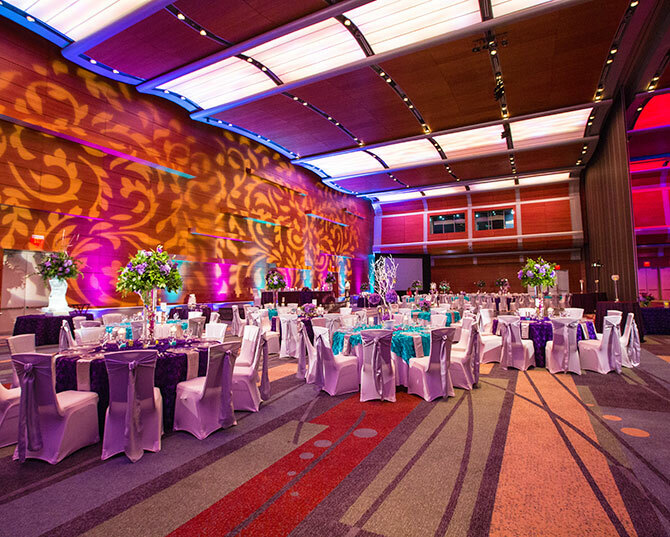 Set the mood with custom lighting to match the colors of your wedding theme. 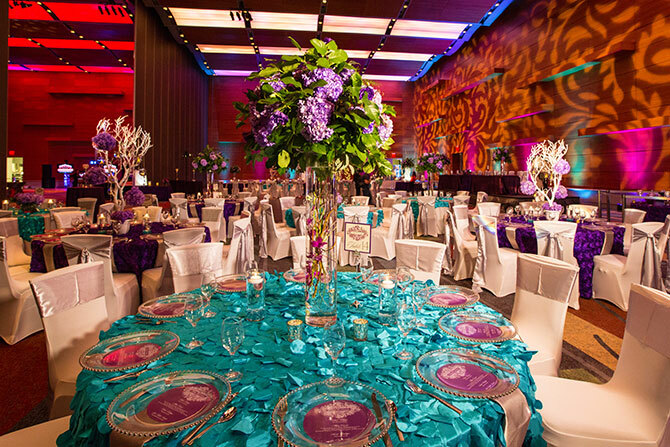 Enjoy your reception knowing that our caring and hardworking staff is behind the scenes tending to every detail. 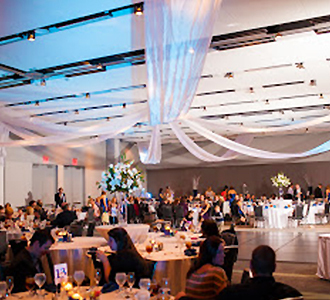 The Virginia Beach Convention Center can hold any size wedding or Reception imaginable, nearly 29,000 sq. ft. of meeting space to choose from as well as a31,000 sq. 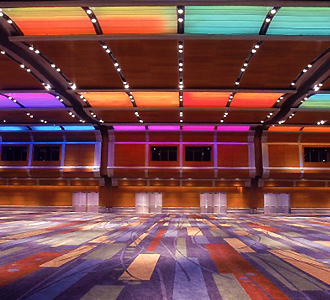 ft. ballroom (one of the largest on the east coast), and 2,209 free parking spaces! From 15 to 1500 guests we offer your guests first-class cuisine in our first-class facility. 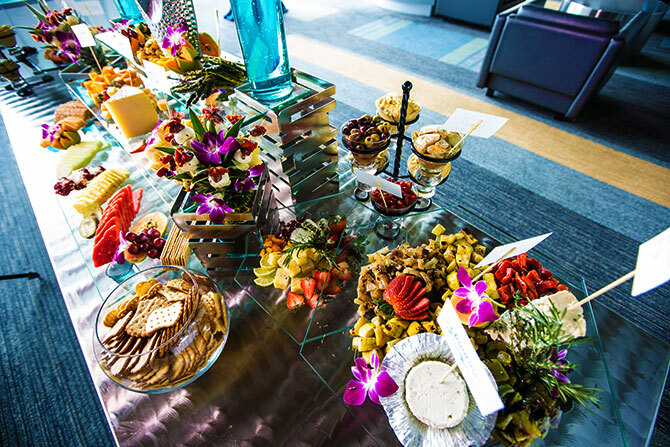 Distinctive Gourmet, the exclusive onsite caterer of the Virginia Beach Convention Center, is a division of Centerplate, one of the nation’s leading providers of food, beverage and merchandise for sports, convention and entertainment centers. 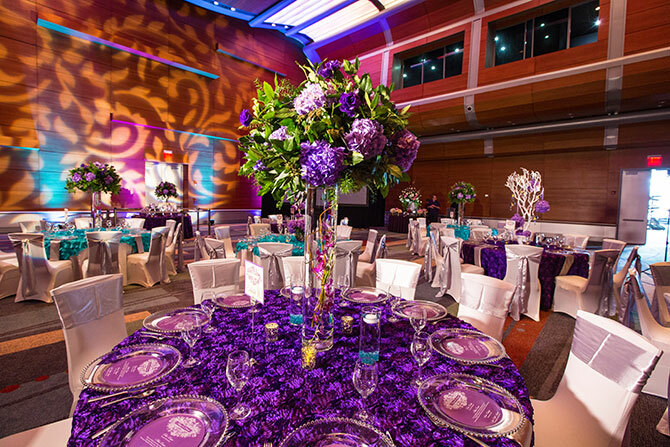 We look forward to working with you and enhancing your event. 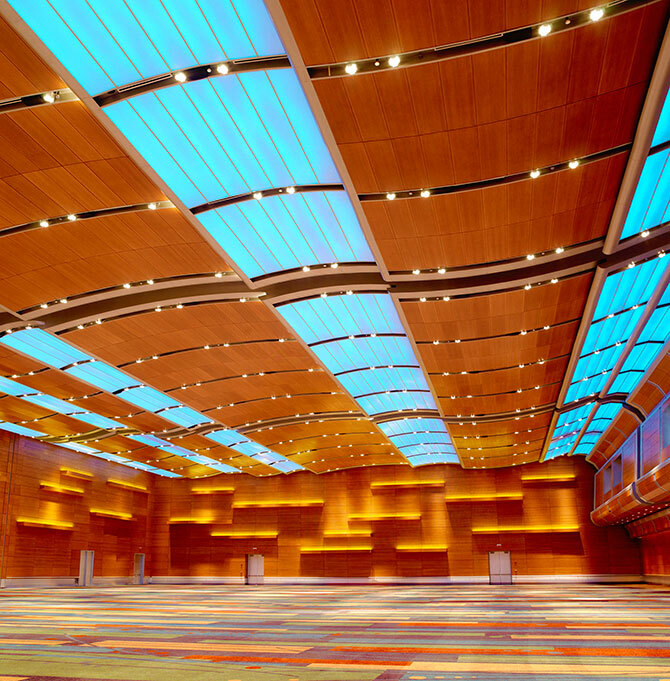 With its LEED® Gold certification, the Virginia Beach Convention Center continues to elevate the industry standard by continuing its on-going commitment to becoming as environmentally friendly as it is innovative. From state-of-the-art lighting and HVAC systems to an extremely active recycling program, our sustainability initiatives lead the charge for the new wave of green meetings and reflect our tireless commitment to staying green and preserving the beautiful environment we live and work in.